With simple text and bright, graphic art, Ariel Cohn and Aron Neils Steinke have created a gentle, fantastical adventure for the very youngest of readers. 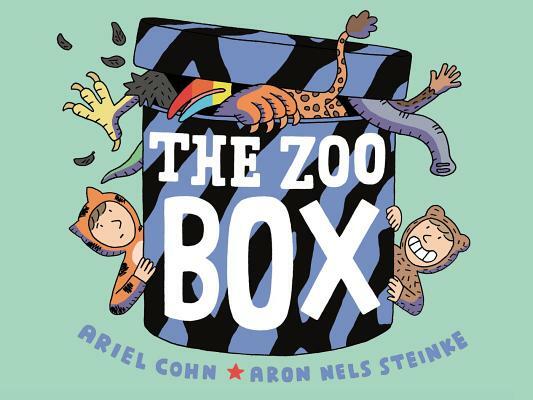 The Zoo Box will be a terrific introduction to comics for both learning readers and their parents. Ariel Cohn and Aron Nels Steinke live in Portland, Oregon, with their son, Marlen, and their three rambunctious cats. Apart from dreaming up stories for children, Ariel is a trained Montessori preschool teacher and metalsmith. Aron is a second and third grade teacher by day and cartoonist by night. The Zoo Box is their first graphic novel.